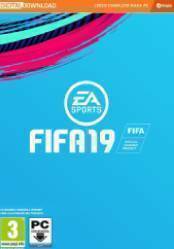 Important: Before buying this version of FIFA 19 for PC, you should know that it is a digital version, that is, you will not receive at home the typical box with the game inside but you will receive in your email a key or key that you must enter into your account Origin to start downloading the game. Before buying it, you should know that with respect to other previous deliveries the game does not change excessively, perhaps some functionality or new game mode and a slight graphic improvement, but do not expect to find a completely renewed game. Now, if you've always liked this franchise then you'll love this game. Another recommendation we make from Gocdkeys is that you try Origin Access first, as it gives access to this title for a small price per month. Many people pay a month or a few days trial at Origin Access, which is EA's subscription method, to try out the title. Once tested and if they like it then they buy it. We recommend that you do this test with all EA titles and especially with FIFA 19. Developed by Frostbite's powerful engine, FIFA 19 will give us the ultimate football experience. Among the novelties that are known, as the information available is still scarce, are the new improved game tools that will allow us to control the playing field at all times in a way never before seen in the franchise. New mechanics, new game modes, better ball control, new goal-shooting system, unique player personalities that will make them recognisable to the naked eye in the middle of matches, more emphasis will be placed on the ever-popular FIFA Ultimate Team, and much more. Get ready for what is, like every year, the best-selling football game on all platforms. Verry good fifa game with awesome animations. fifa is still fifa but it stay fun to play. it's fun solo but the best thing is playing with friends. Fifa was always a great game for when you want to play something quickly... A quick match can end in as little as 20 minutes and you still get loads of fun! OMG WTF EA!! RAGE SELLING MY TEAM *EA RANT* FIFA 19 Ultimate Team RTG!